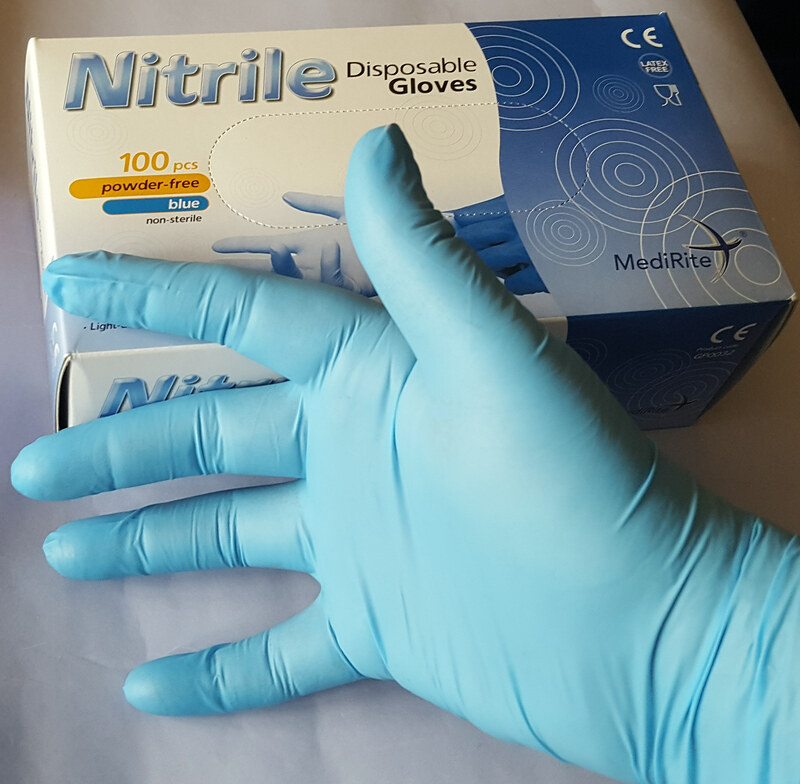 Nitrile gloves are excellent for general use. They are an alternative for anyone with latex allergies. They are tight fitting and offer excellent dexterity. But don't hold up for more than about 10 minutes with styrene and not suitable for use with Acetone or aggressive solvents. They are powder free and ambidextrous. Sizes are Medium, Large & Extra Large.